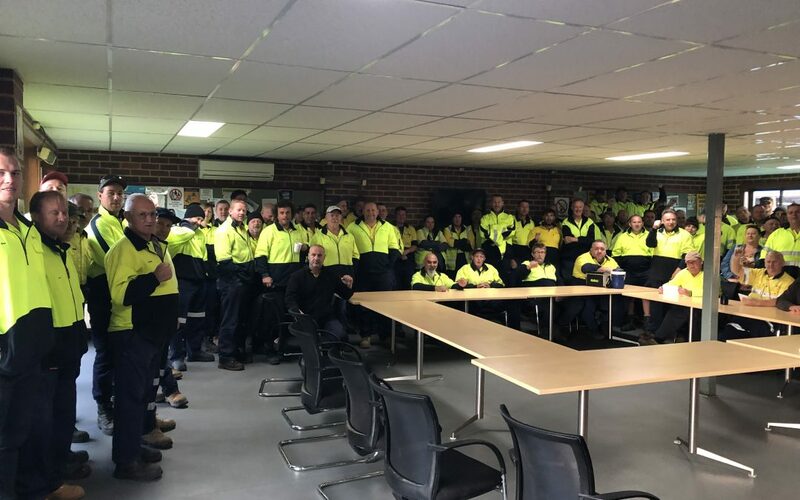 ASU members at Banyule City Council today met to support four of their fellow workmates who have had trumped up allegations made against them. At the meeting, members also vowed to tackle management over their bullying tactics and demanded a stop to spying on workers through the inappropriate use of surveillance equipment. Of great concern, members at Banyule City Council have also been threatened for speaking up at meetings and some have been discriminated against. Enough is Enough – we need to send a message that management’s behaviour towards workers is unacceptable. The ASU is seeking urgent action on these matters and will be requesting meetings with senior management to rectify management’s behaviour toward workers.